Who said yoga poses needed to be difficult or that you even needed yoga clothes! 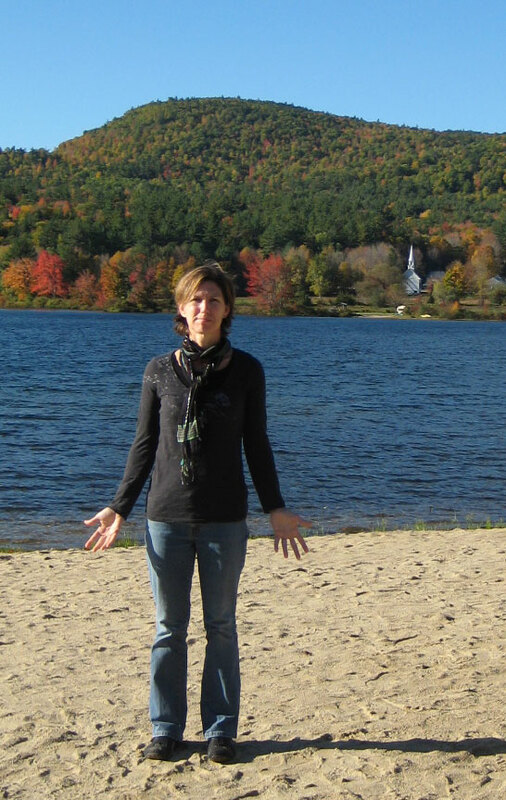 Here in the beautiful mountains of New Hampshire during one of the best fall foliage displays I can remember in years, is Mountain pose. Stand tall with your feet hip distance apart for easy balancing (you can also have your feet together if you like). Keeping a slight bend in your knees, roll your shoulders open and draw them down your back away from your ears. Having your palms forward with thumbs outward help give you that wonderful heart opening. Draw your tailbone down as you lift your chest slightly. Engage your core and breath. If you like, close your eyes and just get centered and grounded.